US President Donald Trump (above). Trump has engaged in negotiations for decades. In his face to face bilateral meeting with Russian Federation President Vladimir Putin, Trump was allowed the chance to adjust to circumstances, become more fluid in his thinking, more creative in his approach. His proposal for a joint cyber security unit, while scoffed at, and albeit, not viable under US law, appeared to be a product of his willingness to consider the full range of options. Moreover, as a confidence building measure, it may have had a positive impact on Putin. When Trump broached the the issue of the Russia’s hacking of the 2016 Presidential Election and his discussion with Putin apparently became a bit scratchy. Putin’s denial of the facts presented most likely signalled to Trump that he would be engaged in a argument without end on the hacking. Trump had to either move away from the issue or move laterally on it in some way. Surely, Trump did not want to abandon the matter. The proposal for a joint cyber security unit apparently stemmed from an intense discussion between Trump and Putin on how to remit Russian cyber warfare programs directed at the US and perhaps similar US programs aimed at Russia. It may have been the product of brainstorming by the two leaders. Trump’s proposal was never supposed to serve as a form retribution against Russia for its intrusions into the US democratic process. Surely, it was not created to be a final solution to the threat of hacking US election. Immediately after the bilateral meeting in Germany, it was revealed that forming such a joint cyber security unit with Russia was prohibited under US law. Yet, although creating an actual cyber security unit was out of bounds, the concept of bringing US and Russian cyber experts together in some way to talk about some cyber matters was not. Trump’s likely aim with the proposal was to create a situation in which US and Russian officials were talking about hacking. Ostensibly, those conversations would create goodwill, perhaps stimulate a more open discussion about the issue, and promote more fulsome, honest talks about the issue among senior officials. In that way, the proposal certainly would have served as an effective confidence building measure. Over the past decade, Russia has mounted more than a dozen significant cyber attacks against foreign countries, sometimes to help or harm a specific political candidate, sometimes to sow chaos, but always to project Russian power. From June 2015 to November 2016, Russian hackers penetrated Democratic Party computers in the US, and gained access to the personal emails of Democratic Party officials. Russian officials deny engaging in such operations. Russian officials almost never open up their covert intelligence efforts. 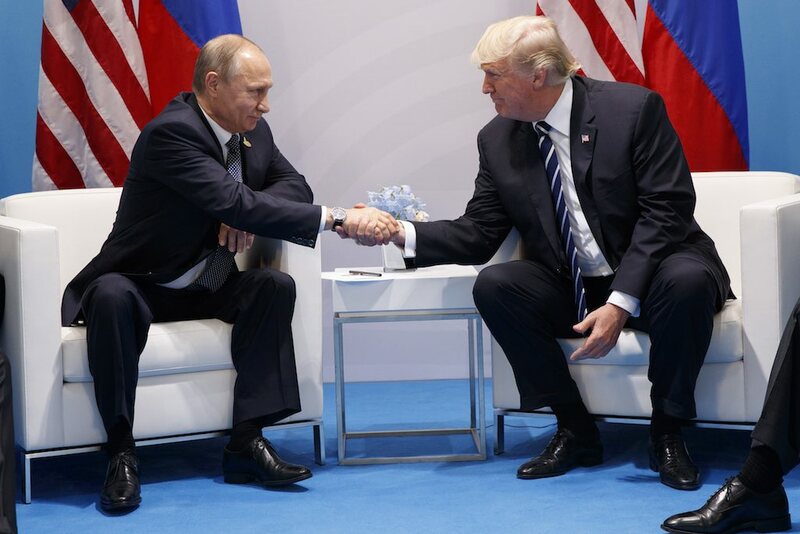 As it was discussed in the July 6, 2017 greatcharlie post entitled “Trump to Meet with Putin at G-20 Gathering: Trump Seeks an Authentic Relationship with Russia”, over the past decade, Russia has mounted more than a dozen significant cyber attacks against foreign countries, sometimes to help or harm a specific political candidate, sometimes to sow chaos, but always to project Russian power. The Russian strategy is typically to pair cyber attacks with online propaganda. That approach has been refined and expanded by Russian intelligence. From June 2015 to November 2016, Russian hackers penetrated Democratic Party computers in the US, and gained access to the personal emails of Democratic officials, which in turn were distributed to the global media by WikiLeaks. Both the CIA and the FBI report the intrusions were intended to undermine the US election. Cyber gives Russia a usable strategic capability. If benefits from its use appear great enough, Moscow may want to risk additional attacks. Russian officials will normally vehemently deny launching cyber attacks. Russian officials almost never open up their covert intelligence operations. Putin has never publicly discussed them. The Intelligence Community has declared that much as its Soviet predecessor, Russia has a history of conducting covert influence campaigns focused on US presidential elections, using Sluzhba Vneshney Razvedki (Foreign Intelligence Service) or SVR intelligence officers and agents and press placements to disparage candidates perceived as hostile to the Kremlin. Russia’s intelligence services conducted cyber operations against targets associated with the 2016 US were Presidential Election, including targets associated with both major US political parties, were conducted by Russian intelligence services. The Intelligence Community assessed with high confidence that the Glavnoye Razvedyvatel’noye Upravleniye Generalnovo Shtaba (Main Intelligence Directorate of the General Staff-Military Intelligence) or GRU used the Guccifer 2.0 persona and DCLeaks.com to release US victim data collected in cyber operations publicly, in exclusives to media outlets, and transmitted material to WikiLeaks. Russian intelligence obtained and maintained access to elements of multiple US state or local electoral boards. US Department of Homeland Security assessments in the report explain that the types of systems Russian actors targeted or compromised were not involved in vote tallying. The Russia’s state-run propaganda machine Russia Today contributed to the influence campaign by serving as a platform for Kremlin messaging to Russian and international audiences. The US Intelligence Community concluded that Moscow will apply lessons learned from its “Putin-ordered campaign” directed at the 2016 US Presidential Election to future influence efforts worldwide, including against US allies and their election processes. Testifying before the US Senate Intelligence Committee on June21, 2017, Jeanette Manfra, the US Department of Homeland Security’s acting deputy Undersecretary of Cyber Security revealed that 21 US state election systems were targeted as part of Russia’s wide-ranging operation to influence the 2016 elections. She explained that a small number state election systems were also breached but there was no evidence any votes were manipulated. Manfra noted that the elections are resilient to hacking in part because they are decentralized and largely operated on the state and local level. Nevertheless, the hacking of state and local election databases in 2016 was more extensive than previously reported. According to Time, there was at least one successful attempt to alter voter information. Reportedly in Illinois, more than 90% of the nearly 90,000 records stolen by Russian state actors contained driver’s’ license numbers, and a quarter contained the last four digits of voters’ Social Security numbers. 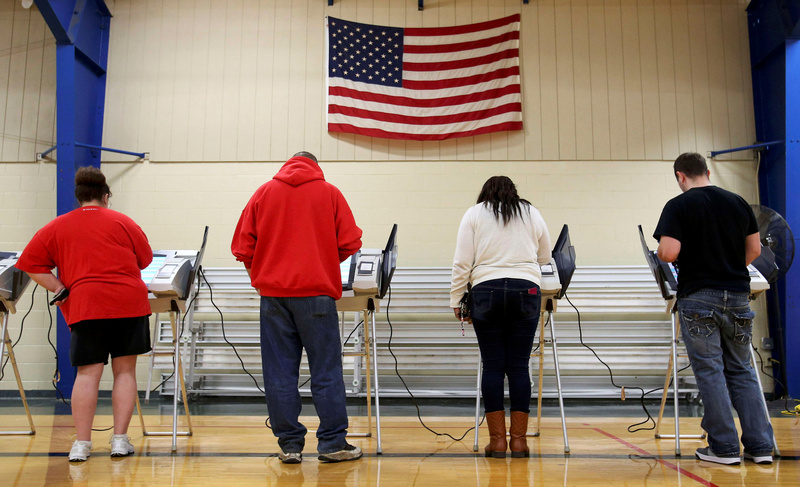 According to the US Intelligence Community, 21 US state election systems were targeted as part of Russia’s wide-ranging operation to influence the 2016 elections. A small number state election systems were also breached but there was no evidence any votes were manipulated. However, there was at least one successful attempt to alter voter information. In Illinois, more than 90% of the nearly 90,000 records stolen by Russian state actors contained driver’s license numbers, and a quarter contained the last four digits of voters’ Social Security numbers. Before the Trump-Putin bilateral meeting, what had been observed in diplomatic exchanges between the US and Russia is a type of modus vivendi, a way of living, working together, between leaders and chief diplomats. After Putin granted US Secretary of State Rex Tillerson a meeting in Moscow after his talks with Russian Federation Foreign Minister Sergei Lavrov, Trump granted Lavrov a meeting in Washington during a visit to meeting with Tillerson. It also indicated a willingness to establish a balance in negotiations or quid pro quo on issues when possible. US State Department and Russian Foreign Ministry officials are also working together to resolve nagging issues that could serve to harm efforts to foster good relations. Such seemingly small steps helped to build confidence in both Washington and Moscow that the prospect for change was real, and it lead to the arrangement of a meeting between presidents. Those small steps also supported an open line of communication between chief diplomats which is all importance as US and Russian military forces work in close proximity in Syria, fighting continues in Ukraine, and aerial and naval intrusions remain constant in skies and waters in NATO, Canadian and US territory. If all went well, there will certainly be more to follow. All of that being stated, the successful formulation and execution of such small steps is a daunting in public. When Putin initially took power on January 1, 2000, the West expected him to give it nothing less than his unequivocal cooperation in a manner similar to his predecessor, Russian Federation President Boris Yeltsin. Western capitals also expected Putin to be a bit wobbly taking on so much responsibility at a relatively early age. Yet, Putin knew his shoulders could bear the burden. He had no desire to be just a man of the moment in Russia. Much as Yeltsin, Putin, too, showed patience toward the West for a while, but he did not procrastinate. He took on the mission of breathing fresh breath into a country that was dying. He pushed ahead with plans “to save” Russia from disintegration and frustrate what he sensed were Western efforts to weaken it. Indeed, Putin did not believe congenial relations with the West were authentic given the many years of geopolitical struggle. Putin believed then, and believes now, that the greatest danger to Russia comes from the West. He believes Western governments are driven to create disorder in Russia and make it dependent of Western technologies. Still, Putin has shown that would prefer to outthink his rivals in the West rather than fight them. That notion has influenced his responses in contentious situations. After the period of a term away from the presidency during which he served as his country’s prime minister, Putin was reelected for a third term on March 4, 2012. He clased repeatedly with US President Barack Obama and seemed to act more aggressively. The Russian military move that stood out was the annexation of the Crimea. Given the many years of geopolitical struggle, Putin was unconvinced congenial relations between Russia and the West could exist authentically. He believed the greatest danger to Russia comes from the West. After Putin was reelected for a third term, he clashed repeatedly with US President Barack Obama. 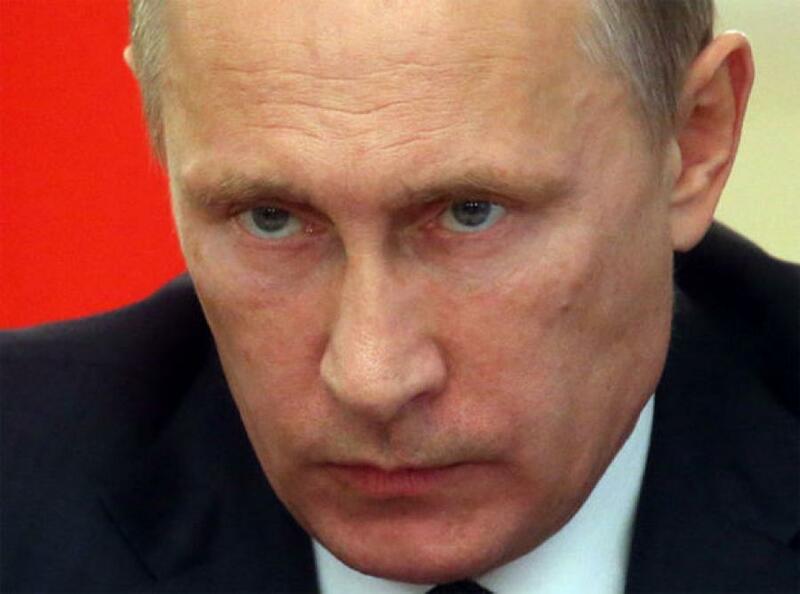 Putin became more aggressive; took more military action. After traveling a bumpy road with the Obama administration, Moscow hoped Trump’s approach to Russia in any direction would reflect the desire not just for new deals, but a new US-Russia relationship. Parva scintilla saepe magnam flamam excitat. (The sparkle often initiates a large flame.) 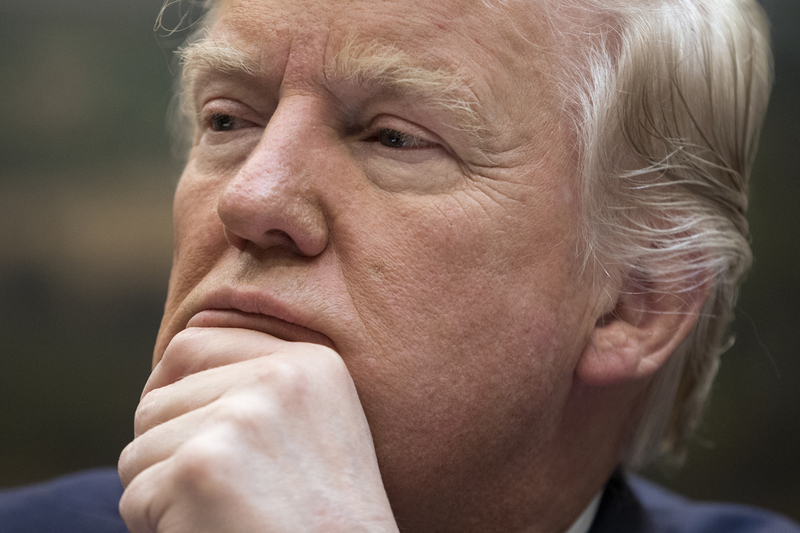 Given Trump’s gift for agile maneuver against opposite parties in negotiations and his ability to mask his approach, if he chooses to do so, his decisions cannot be forecasted with exactitude. Trump, a self-admitted master of the art of the deal. His negotiating “tactics, techniques, procedures and methods” Trump appears to have used that were likely developed a tad via his graduate business education at the Wharton School of Business at the University of Pennsylvania along with heavy dose of experience gained after nearly five decades of business negotiations. His concepts appear similar to those promoted by Harvard University’s Program on Negotiation. Such concepts ostensibly guided him in his first “business meeting” with Putin. They include the following: promoting creativity by breaking problems into smaller components; by doing so, you can build a multi-issue business negotiation out of what might appear to be a single-issue deal; using multiple issues to make valuable tradeoffs and facilitate a good-faith negotiation; collecting important information by asking lots of questions and listening carefully to the answers; impressing the other side with your flexibility by putting forth several different proposals at the same time; contemplate unconventional deal-structuring arrangements to bridge the gap between what the seller wants and what the buyer can afford; exploring a contingent contract to help overcome differences in beliefs about future events and outcomes; creating even more value in business negotiations by adding conditions to your deal such as “I’ll do X if you do Y”; and, engaging in “mind games” like brainstorming to facilitate creative problem solving and unexpected solutions. Trump surely had high hopes before and during his meeting with Putin. He likely would argue then, and would argue now, that bold action, when appropriate, would be the very thing to turn situations around. Ideally, if big agreements were reached, they could help modify Russian behavior, and get relations moving forward. Yet, Trump is also pragmatic and recognizes that plans must fit circumstances and circumstances cannot be created or imagined to fit plans. Trump understood that there would likely need to be initial, relatively small steps perhaps to unlock the diplomatic process on big issues. He would also seek to gauge actions and reactions of his interlocutor, Putin. If he discerned a positive way forward, his sense of possibility would broaden and he would open his mind up to more options. When Trump broached the issue of Russian cyber attacks and eventually presented his proposal, his goal was not to mollify Putin, but rather provide an opportunity for all sides to “clear the air” on the issue of Russia’s hacking of 2016 US Presidential Election but he was unable to receive anything other than denials. Trump is not happy about Russia’s interference with the 2016 Presidential Election both as a patriotic citizen and as a candidate in that election. He may not completely agree that Russia’s action greatly impacted his election victory, but he recognizes that the aesthetics of the intrusion over time could diminish his accomplishment in some minds, particularly among his supporters. Trump understood Putin would likely deny Russia had any connection to the election intrusion, but he undoubtedly believed it was worth a try to have him confirm what most in the US believe. As Trump and Putin did not have a relationship established prior to the meeting, they did not possess the requisite degree of trust that would allow them to relax and explore the territory outside their formal negotiating positions. They could not talk about their assumptions, strategies, and even fears. They had to work in the abstract from reports of others’ observations and analyses about their respective interlocutors. Six building blocks for diplomatic negotiations were superbly outlined by the renowned US statesman, former US Secretary of State James Baker over a decade ago. Baker explained that the building blocks worked well when properly applied through solid preparation and hard work. The building blocks included: 1) Understanding an opponent’s position; 2) Gaining trust through personal relationships; 3) Reciprocal confidence building; 4) Taking a pragmatic approach that does not sacrifice principles; 5) Being aware of timing; and 6) Maintaining a deep respect for the politics of the situation. 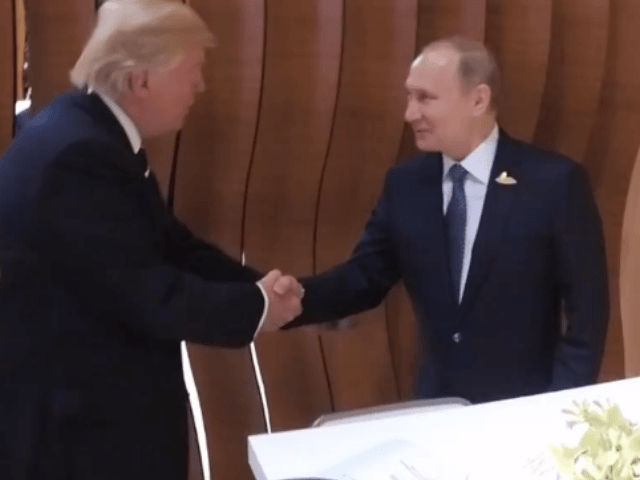 As Trump and Putin did not have a relationship established prior to the meeting, they did not possess the requisite degree of trust that would allow them to relax and explore the territory outside their formal negotiating positions. They could not talk about their assumptions, strategies, and even fears. They had to work in the abstract from reports that presented observations and analyses of others about their respective interlocutors. With specific regard to reciprocal confidence building, both leaders demonstrated that they could negotiate. Baker suggested that at the earliest stage, one could arrange a series small negotiations on issues that could be resolved quickly, reasonably, and amicably to assist in developing a dialogue. Baker explained that finding even a minor, common point of agreement, for example on the shape of the negotiating table, can serve to set the tone of the relationship. It also helps develop a dialogue, which is one of the most important aspects of negotiations. 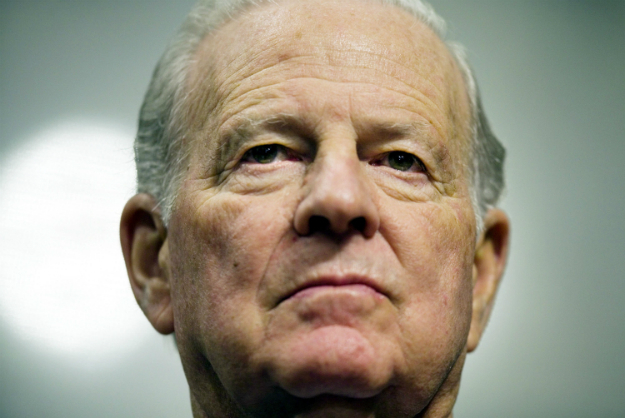 Former US Secretary of State James Baker (above). Six excellent building blocks for diplomatic negotiations were outlined by former US Secretary of State James Baker over a decade ago. Baker explained that they worked well when properly applied through solid preparation and hard work. Included among them were: 1) Understanding an opponent’s position; 2) Gaining trust through personal relationships; 3) Reciprocal confidence building; 4) Taking a pragmatic approach that does not sacrifice principles; 5) Being aware of timing; and 6) Maintaining a deep respect for the politics of the situation. Perhaps the best definition for confidence building measures was provided by Simon Mason and Siegfried Matthias, in their seminal article, “Confidence Building Measures (CBMS) in Peace Processes” published in Managing Peace Processes: Process Related Questions. A Handbook for AU Practitioners, Volume 1 (African Union and the Center for Humanitarian Dialogue, 2013). They define confidence building measures as series of actions that are negotiated, agreed, and implemented by parties in a dispute in order to build confidence without specifically focusing on the root causes of the dispute. Confidence building measures are designed to build confidence. Confidence is a psychological state, whereby actors make themselves vulnerable and ready to take risks based on the expectation of goodwill and positive behavior from a counterpart. Confidence building measures can prevent a dispute or larger problem from escalating even if the negotiating process is to be started in the short term. Preventing escalation has value in itself and may also allow the negotiation process to begin again later on. Mason and Matthias intriguingly note that confidence building measures can prevent parties from escalating even when there is a denial of any problems or tensions that could escalate. Successful negotiations require risk taking by the parties. That is why a minimum degree of confidence is needed for negotiations to even start. For negotiating parties, confidence building measures are attractive because they are seen as a low-cost and low-risk activities, since they can be implemented with limited resources and calculated risks. The negotiating parties, themselves, must craft confidence building measures to fit their specific case. If not, what is agreed to will not be owned by the parties, and will not serve to build trust. Confidence building measures must also be reciprocal in nature. One party should not feel that it is going out on a limb without the other also doing so. To assist in ensuring confidence is sustained and agreements are appropriately implemented, confidence building measures concerning communication should be put in place. In an incremental approach to confidence building measures, a series of agreements are used to slowly tackle the more difficult core issues later on. Under this approach, confidence building measures become stepping stones or a pathway to greater agreements. Indeed, agreements on confidence building measures early on generally build trust and interest in negotiating more complex agreements at a later stage. In this sense, confidence building measures create opportunities for parties to collaborate on something that is not strategically important to them and, in so doing, build the trust needed to subsequently discuss important strategic issues. Confidence building measures pull parties away from the obstacle they are blocked on. Once confidence exists, it is then easier to address the obstacles. Mason and Matthias use the metaphor of steps of a ladder also highlights the incremental nature of building trust which takes time and an accumulation of small steps. That is referred to by some as the confidence building process. Mason and Matthias caution parties negotiating confidence building measures that wider constituencies may view a negotiation process with suspicion before, during, and after negotiations, and may not be willing to accept deals made. Individuals from those constituencies typically will not be present at the negotiation or understand how agreements were arrived at. Plans for responding to the wider constituencies’ concerns must be considered. A mutual understanding that one party made need to break away from a confidence building measure must exist. An agreement could be negotiated that allows the parties an amount of time in which they could communicate to one another about the need to break away from a confidence building measure. Working together on such a matter in itself could build confidence, create some degree of trust. 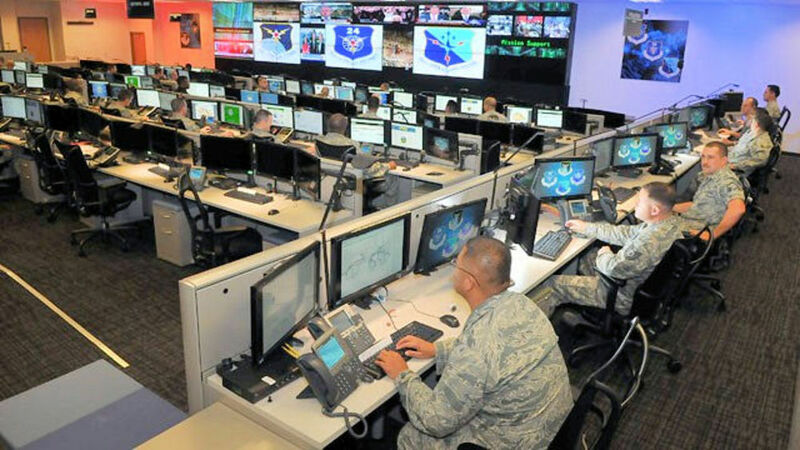 US military personnel in Cyber Command (above). There is no doubt with regard to the legal barriers to Trump’s proposal for a joint US-Russian cyber security unit. The 2017 National Defense Authorization Act prohibits the US Department of Defense, which is the parent organization of the US National Security Agency and the US Cyber Command, from using any funds for bilateral military cooperation with Russia. However, the mere fact that Trump offered to work jointly with Russia to sort out a cyber matter, and thought of creating an organization for that, seems to have had a positive impact on Putin. Even though Trump’s proposal for a joint US-Russian cyber security unit was flawed, the dialogue among US and Russian cyber experts that might have resulted from it could have helped to develop a mutual understanding about the harmful effects of cyber activities and potential consequences, to include proportional asymmetric responses. Experts from the US side in any hypothetical liaison team would have likely been very experienced, highly qualified US personnel from the US National Security Agency and Cyber Command, and perhaps the Department of Homeland Security and the Department of State, the primary US agency most major cyber negotiations. They might have caused Russia to halt its cyber operations against the US by helping to establish a modus vivendi, or way both countries could live together while possessing this significant strategic capability. 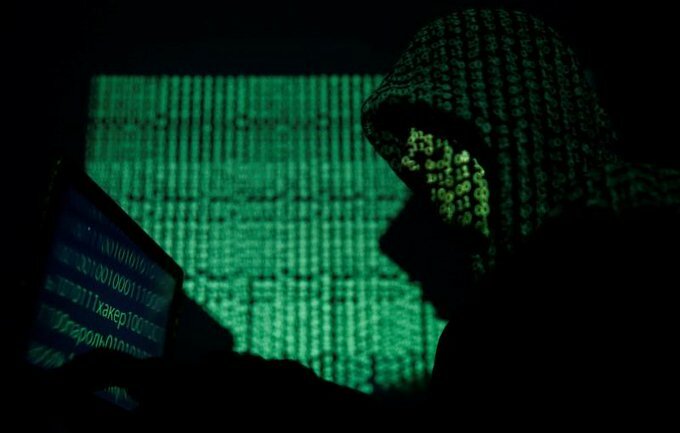 One could speculate even further that talks may have even resulted in the very near-term suspension of any cyber attacks underway, or a reduction in the intensity or tempo of such attacks that have been sourced to Russia and perhaps some that have not as yet been identified as such. Trump’s proposal, encouraging talks, although flawed legally, ideally could have inspired both countries to move forward toward a greater agreement. There is no doubt with regard to the legal barriers to Trump’s proposal for a joint US-Russian cyber security unit. The 2017 National Defense Authorization Act prohibits the US Department of Defense, which is the parent organization of the US National Security Agency and the US Cyber Command, from using any funds for bilateral military cooperation with Russia. The purpose of the law is avoid providing Moscow with insight into US cyber capabilities. In the US, it has been long-believed that Moscow is averse to revealing any of its cyber capabilities. Multiple proposals will be presented in the process of improving US-Russian relations. Trump’s cyber proposal was one of many tabled by him during his bilateral meeting with Putin. As Trump tweeted, success was achieved in other areas. For example, Trump and Putin agreed over a ceasefire for southwest Syria that was set to begin on midday, July 9, 2017. US Secretary of State Rex Tillerson said it showed the US and Russia were able to work together in Syria and that they would continue to do so. Even without being implemented, the fact that Trump offered to work jointly with Russia to sort out a cyber matter, and thought of creating an organization to do so, may have had a positive impact on Putin’s thinking. Putin can choose cautious cooperation or subterfuge, which many in foreign policy circles would call his penchant. In his dealings with Trump, it seems to some degree Putin has chosen cooperation. Indeed, it must be noted that Putin discussed Trump’s proposal and was apparently open to some type of interaction between cyber experts of both countries. Recall also that Trump initially tweeted that Putin entertained the proposal. As Putin has the final say on all foreign policy matters in Russia, he established that Russia at the moment has an interest in reaching an understanding on cyber. Trump’s July 7, 2017 cyber proposal is dead. However, as the process of building relations between the US and Russia, there is a real chance that a new, better crafted proposal on cyber, within bounds legally, may surface, perhaps even from Moscow. Only time will tell. In William Shakespeare’s play, The Third Part of King Henry the Sixth, while King Henry away from the throne, the Duke of York, urged by Warwick, sat on it. Just then, Henry arrives with followers. Henry tells York to step away, but York announces an alleged claim to the crown against the King’s hereditary possession. Henry convinces York to wait to be crowned after he dies. Henry’s nobles are astonished that he disinherited his own son. Queen Margaret arrives and is struck by the news. York, at home, is convinced by Richard’s sons Edward and Richard, and his follower Montague to take the throne right away. A war for succession ensues. After several horrific battles, the opposing sides massed for a final engagement. In Act V, Scene iv of the play, Margaret leading Henry’s supporters gives a final stirring speech, summoning courage and the fighting spirit. On the plains near Teaksbury she states: “Great lords, wise men ne’er sit and wail their loss, but cheerly seek how to redress their harms. What though the mast be now blown overboard, the cable broke, the holding-anchor lost and half our sailors swallow’d in the flood? Yet lives our pilot still. Is’t meet that he should leave the helm and like a fearful lad with tearful eyes add water to the sea and give more strength to that which hath too much, whiles, in his moan, the ship splits on the rock, which industry and courage might have saved? Ah, what a shame! Ah, what a fault were this!” As Trump engages in efforts to improve relations with Putin and Russia, his opponents and a few fellow Republicans seem to feel the US is staring into a dangerous, dark abyss. They place little faith in Trump, and no trust or hope in Putin. Conversely, Trump, in thinking about the potential for improving relations, likely conjures panoramic views of endless vistas. While Trump’s critics would associate the disturbing sound of a dissonant flute with Trump’s effort to rebuild relations with Russia, Trump seeks to create a harmony between the US and Russia that even Johann Sebastian Bach would find sublime. The entire matter seems to enthral him. He remains optimistic and is pushing ahead in the face of considerable obstacles, the majority of which are actually unrelated to his efforts with Putin.